There comes a time in February when I can start to feel the seasonal changes that are about to come. Let me try to explain. Since November, we leave the house in the dark in the morning. It is still dark when we get to school and only after I leave the school do I see the sunrise. Well, this past week (first week of February) we saw the sun rise on the way to school. The reason I get so excited now is that over the span of a couple of weeks, if we are lucky with the weather, we are greeted by the most spectacular display of the sunrise and the subsequent pink and orange skies. The glimmer of hope is slowly but surely becoming a reality. We will soon have full daylight in the early morning and late into the evening. Welcome to my favorite time of the year. Summer days are whispering to me through the little buds growing on some of the bushes and trees, through the slightly greener grass and through the brighter chirping of the birds. This is when I start to dream about summer time, the seemingly endless days, the warmth of the sunshine on my face, the BBQs and lets not forget the flowers! At this time of the year my perfume choices also tend to be brighter and the lush florals come forward while all the warm vanillas and ambers take a step back. I have been testing a few new florals and would like to tell you about a little gem called Monbloom from Ramon Monegal. Monbloom opens up with a symphony of florals playing in tune together. The tuberose is, to my nose, not loud or screechy. This is as smooth and fresh as I can hope for with tuberose. It is one of my all time favorite flowers and notes but it has to be done right. It is a whisper of summer days – the buds on the stalk are not all open, in fact only a few of them are at the bottom. Their silky creamy petals enticing me to come in for a sniff. The jasmine and neroli are an added dimension taming the tuberose, not yet in full bloom. About an hour into the development I can detect wisps of osmanthus bringing Monbloom to a slightly fruity stage.What I love about Monbloom so far is the kaleidoscope of colours that are called to mind. It starts out creamy almost white such as the opened tuberose flowers and blooming jasmine then it turns to the palest of yellow with a touch of pink like the unopened tuberose buds. Further along it blends together with hues of yellow, orange and red like the many different species of osmanthus. The dry down has woody components but I do not get any oud. 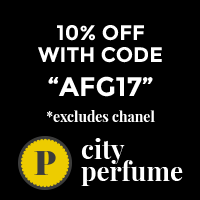 The patchouly is a beautiful addition to this perfume. Monbloom is the sky here in the north, giving me glimpses of hope for sunnier and longer days. I wonder how Monbloom would be sprayed? Would it be more of a powerhouse? Dabbed, this is my impression of this beautiful perfume. Do you have a perfume that whispers a different season to you? Those photos are absolutely beautiful. I love the Ramon Monegal line. He makes good perfume. this one sounds lovely. I am so lucky to be able to experience the skies here Portia. I have to admit that I like quite a few Monegal perfumes. What stunning pink and orange skies, Sandra! Isn’t a relief when we notice it’s getting lighter? Monbloom sounds like a real mood-lifter. I should start wearing spring scents soon to rush the season. Maybe Diorella. We’re getting the Big Freeze next week though (apparently). Hi Tara. I was surprised of how excited I became with the lighter days. I have been almost giddy. Diorella is definitely a mood lifting perfume. Yes, we are also going into a deep freeze next week. Stay warm. Gorgeous photos! I love it when the days get longer and there is more light…it instantaneously elevates my mood. Up until two days ago my gravatar was also an orange/blue sky photo taken by one of my Marzipans from our back porch (current gravatar was painted by my eldest for me for Christmas)….pinkish/orange and blue hues are fantastic together. Hi chez Marzipan. It atill amazes me of how a bit more light can change my outlook so drastically. Love the gravatar from your eldest. The colours work so well. Cristalle is beautiful and I can only imagine how the vintage smells. I will look up your other two as I have not tried them. Thanks for reviewing Moonbloom. I’m also looking for a new floral perfume for my collection because I have realized that I don’t have many strictly florals. I’ll give Moonbloom a try although I am not a tuberose fan. There is one perfume that always speaks spring to me – Clinique Wrappings. I love its green herbal notes that remind me of the first warm evenings, usually in March, when you don’t have to wear a jacket anymore while sitting in a street cafe sipping drinks with friends. Can’t wait for its time to come. Hi Neva, Florals are not heavily represented in my collection either. Not sure how this will work for you as you don’t care for tuberose. Fingers crossed it works out for you. I will have to revisit Clinique Wrappings soon – you make it sound lovely. Yes, I too am looking forward to the warmer weather. The most striking example for me is Timbuktu. It smells like a hot summer evening in the south of Russia (that’s where I’m from), it’s got warmed up tree bark, relentless mosquitoes, “summertime, and the living is easy” all over the place. I dare not wearing it now when it’s still freezing cold. Dear Diana, ahh Timbuktu – lovely for summer time. I can live without the mosquitoes here though. We have gone back to cold again and I have returned to my vanillas and ambers. Stay warm. Sandra, where do you live? Is it Netherland?